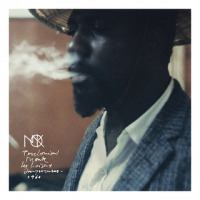 Finding a lost movie soundtrack by composer/pianist Thelonious Monk at this late date seems an improbable event, at the very least. But that is what we have here: previously unreleased performances heard in Roger Vadim's famous 1959 French film Les Liaisons Dangereuses. The official soundtrack album released at the time included only the music by Art Blakey and the The Jazz Messengers with Barney Wilen that was also recorded for the film. 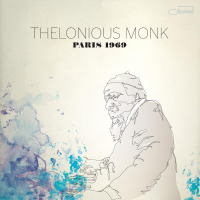 Monk did not compose any new music for the soundtrack, but performs some relatively recent compositions, along with some old favorites (a practice that was common throughout his recording career). He had most recently recorded 5 by Monk by 5 (Riverside, 1959) with the quartet of himself, saxophonist Charlie Rouse, bassist Sam Jones, and drummer Art Taylor. The second horn on that date was cornetist Thad Jones: that role is played here by French saxophonist Barney Wilen. Wilen is best known for his playing on the Miles Davis soundtrack for the 1958 film Ascenseur pour l'échafaud. Historic though these recordings are, they miss being essential by virtue of being "only" a very good unreleased Monk album. There are some unusual elements. 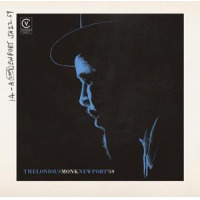 The album is one of only two instances in Monk's discography featuring two tenor saxophonists: the other was Thelonious Monk at the Blackhawk (Riverside, 1960) with Rouse and Harold Land. 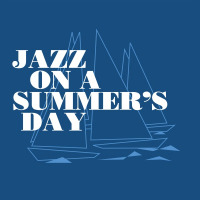 There are two versions of the infrequently performed "Light Blue," as well as an unaccompanied blues improvisation titled "Six in One" (slightly revised later as "Round Lights" on the 1959 Riverside solo piano album Thelonious Alone in San Francisco) and "We'll Understand It Better By and By," a brief hymn unrecorded elsewhere. Apart from those rarities, the bulk of the program is made up of very good performances of Monk standards like "Rhythm-a-Ning," "Crepuscule with Nellie," "Well, You Needn't" and "Pannonica." The soundtrack material occupies the first disc, a forty-three minute LP-length program. The second disc includes alternate performances (including a longer version of "Light Blue") and a longer, unedited version of "Well, You Needn't." It closes with "Light Blue (making of)" which shows drummer Art Taylor learning the tricky rhythms of the tune under Monk's guidance. 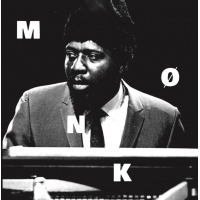 No revelations, but a generous helping of Monk in his prime. Recommendation enough for any Monk fan. Track Listing: CD1: Rhythm-a-Ning; Crepuscule with Nellie; Six in One; Well, You Needn’t; Pannonica (solo); Pannonica (solo); Pannonica (quartet); BaLue Boliver Ba-lues-Are; Light Blue; By and By. CD2: Rhythm-a-Ning(alternate); Crepuscule with Nellie (take 1); Pannonica (45 master); Light Blue (45 Master); Well, You Needn’t (unedited); Light Blue (making of). Personnel: Thelonious Monk: piano; Charlie Rouse: tenor saxophone; Barney Wilen: tenor saxophone; Sam Jones: bass; Art Taylor: drums.